Meta Knight is a major character in the Kirby series appearing in most of the games, manga, as well as the anime. 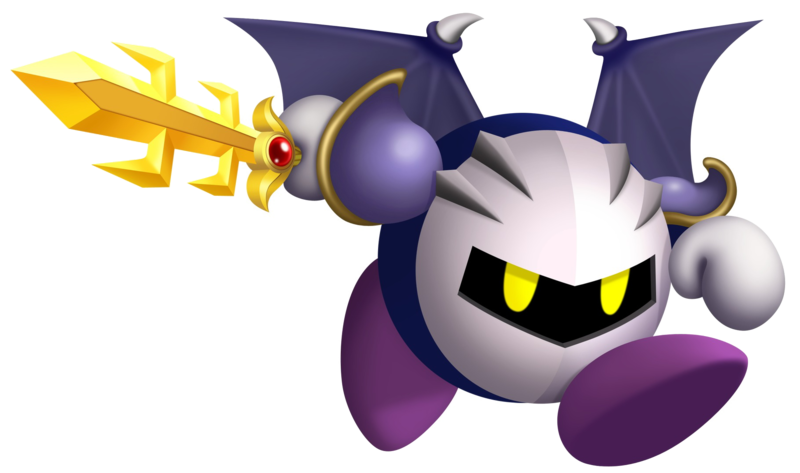 The intrigue and popularity surrounding Meta Knight within the Kirby fandom largely lies in his shrouded motives and his striking likeness to Kirby himself. Due to Meta Knight's way of doing things and his oft-hidden intentions, the relationship between Kirby and Meta Knight is unpredictable in nature, and range from anywhere between being bitter rivals to being steadfast allies to one another and can change at a moment's notice. He respects a code of honor, and always offers Kirby a sword whenever he fights against him. Meta Knight is a playable character in many spinoffs, and is presented in many of the newer games as a "friend or foe" character.